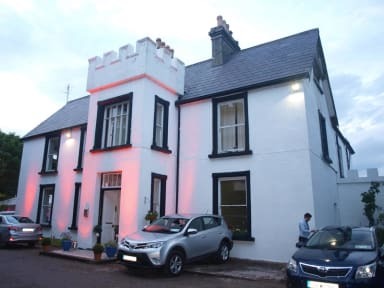 The Valley House Hostel and Traditional pub is on Ireland's wild and beautiful west coast. 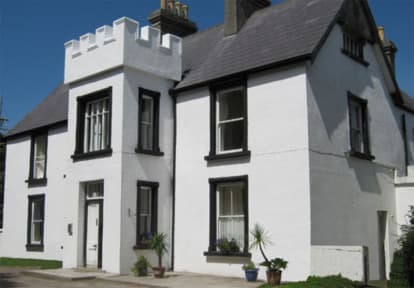 Our historic Victorian house is located on scenic wooded grounds close to Blue Flag beaches. We have a Woodland Faerie Trail, a 9-hole Pitch & Putt course and a beautiful lake stocked with trout on our grounds. The music sessions, conversation and pool table in our friendly pub will keep you happy in the evenings. Our courtyard is a lovely place to sit out and enjoy the fresh air. We are open all year, individual and group bookings are welcome. We have full self-catering kitchen facilities and a large dining room & residents lounge for your use. Achill is a stunning island, connected to the mainland by a bridge...just 50 minutes drive from Westport if you are driving or take the bus (see directions). Groups are welcome and cooked breakfast and other meals can be provided for groups by prior arrangement. PLEASE NOTE Family rooms are available but children are not allowed in mixed dorms. Achill Island is connected to the mainland by a bridge.